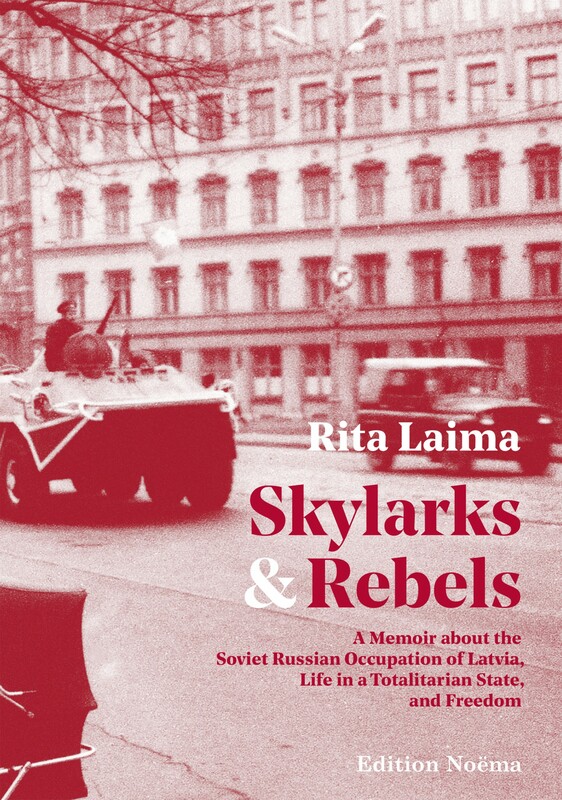 Skylarks and Rebels is a story about Latvia’s fate in the 20th century as told by Rita Laima, a Latvian American who chose to leave behind the comforts of life in America to explore the land of her ancestors, Latvia, which in the 1980s languished behind the Soviet Iron Curtain. In writing about her own experiences in a totalitarian state, Soviet-occupied Latvia, Laima delves into her family’s past to understand what happened to her fatherland and its people during and after World War II. She also pays tribute to some of Latvia’s remarkable people of integrity who risked their lives to oppose the mindless ideology of the brutal and destructive Soviet state. Rita Laima is a published writer, translator, and children’s book illustrator. Born in the United States to the children of refugees who settled in New Jersey, Laima was raised biculturally, speaking Latvian at home. After studying art at Parsons School of Design in New York City, she traveled to Latvia in 1982 and lived there for 17 years. During that time, she experienced life under Soviet communism, the Soviet Union’s efforts to russify her ancestral country, Latvia’s National Awakening, and its long-awaited independence from the USSR in 1991. Rita Laima currently lives in the Washington, DC area. "[Skylarks & Rebels] is a tribute to Latvian language and culture subjected to the brutality of the Soviet occupation. It is a story about identity, language, patriotism, love, searching for roots, passing away and space. It is also a memory of youth, ideals and trust. Historical events and biographical notes provide an inspiring backdrop to private memories and help capture the political and social context. However, this is not a historical book sensu stricte. It is not only a nostalgic memory of the times of youth. The idealistic attitude of Laima collides with the ruthless reality of the Soviet occupation. The experience of democracy and freedom of the West has influenced its peculiar, unique perception of communism. The book is written from the perspective of an outsider but at the same time deeply rooted, full of passion and sensitivity towards the native culture.